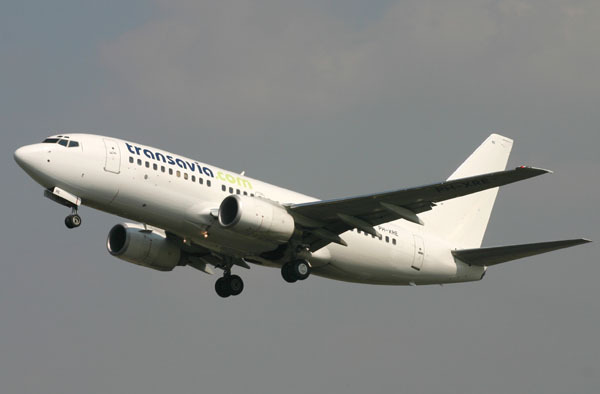 The early generation 737s with Transavia ! Boeing 737-222 (19955/210) is seen here at Amsterdam-Schiphol on a sunny day in 1984, one of my earliest civil aviation photos. The fact that in the background another Transavia has the old colorscheme, I assume that the changeover took part in 1995. 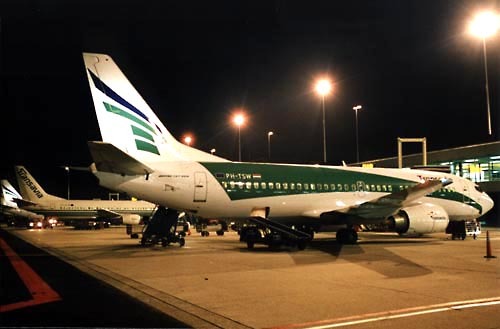 As 737-3L9 PH-TSW (24219/1600) was photographed by me at Transavia's homebase, Amsterdam Int'l Airport Schiphol, in July 1995. 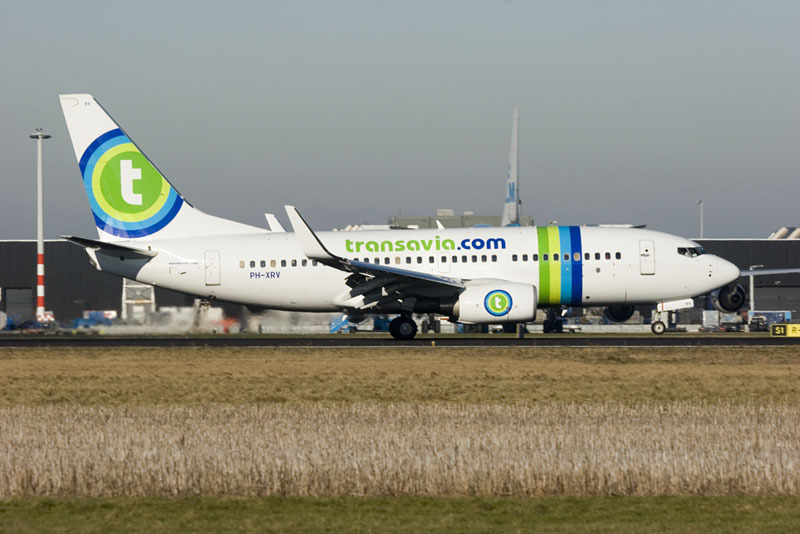 When BasiqAir ceased to exist early 2005 (integrated into Transavia), there did not seem to be a plan for a new colourscheme. 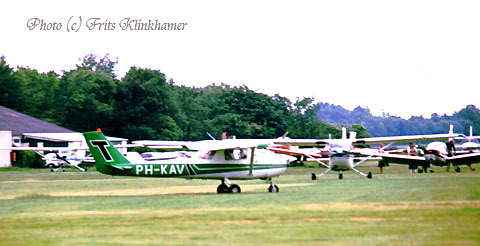 True to their new identity as a "no-frills"-airline, Transavia saw this livery appear in its fleet: all white with Transavia.com titles. Boeing 737-7K2 PH-XRE (c/n 30668/1482) is seen here taking off from Amsterdam in April 2005. 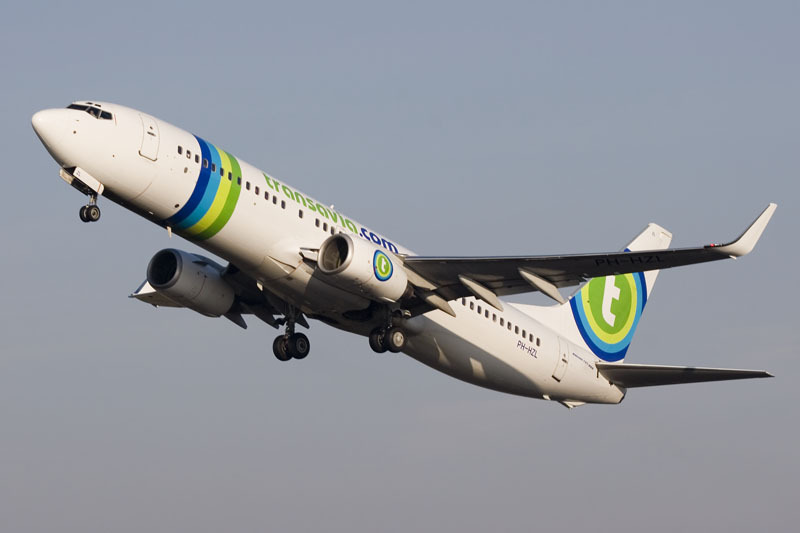 By December 2005 Transavia published the new name of the company: Transavia.com. In itself not a big surprise as this name had been written on most of their stark white airplanes all year, but a brand new colourscheme was introduced that same month as well. Boeing 737-7K2 PH-XRA (c/n 30784/873) is seen here taking off from Amsterdam IAP on 14Jan06. 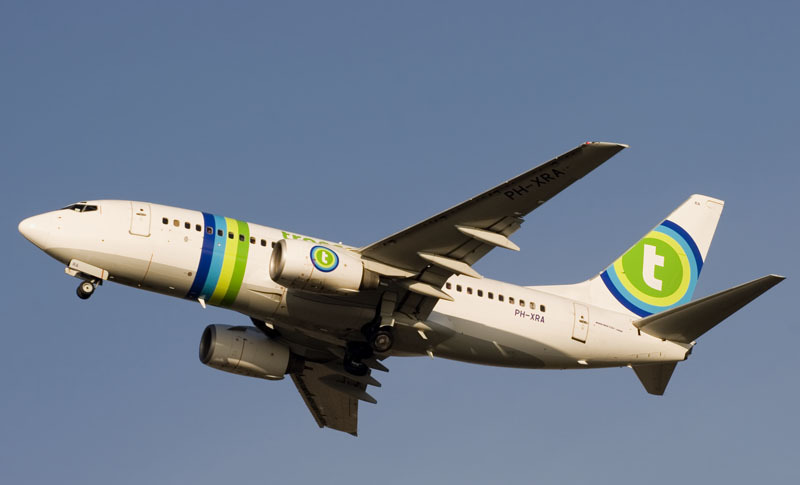 The new colourscheme coincided with a fleet wide program to fit winglets on all of Transavia's 737-700s and -800s. Those winglets certainly add a fast style to the aircraft. PH-HZL is a Boeing 737-8K2 with c/n 30391/814, photographed on 14Jan06. PH-XRV (c/n 34170/1701) is a Boeing 737-7K2 and looks good with those winglets. livery, introduced in 2015. Photo taken in july 2015.